closed until further notice due to water issues. Ogden Cycle Association is a motorcycle club and a private motocross track. Several times throughout the year the club will hold open practices and races that allow the public to ride the track. These events are typically races and open practices. These dates will be posted here on the website, facebook, and Instagram. The track is known as Hot Springs Raceway and is located in Farr West, Utah. The property is owned, operated and maintained by club working members. All members have their own key and can access the track anytime throughout the year except on grooming days, pre-race prep days, or when the club has work parties. OCA is managed by a Board of Directors. The BOD are voted in by the members. OCA has a limited amount of working memberships available. The club follows a set of By-Laws that all members must follow. 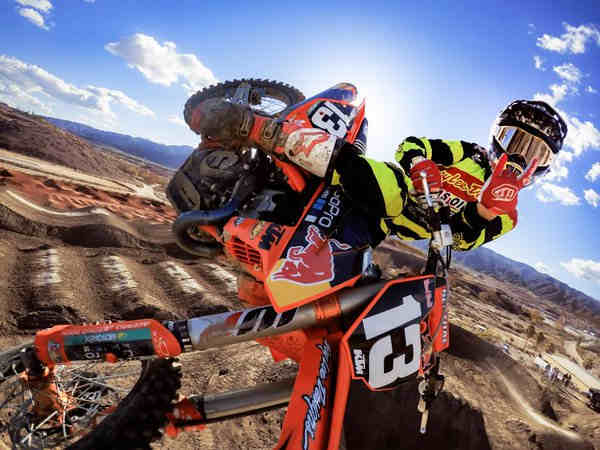 St. George Motoproving ground MX track located just minutes from downtown St. George. At nearly 20 acres, the park offers something for motorcyclist everywhere. The track is dynamic and has over a mile of elevation changes, rhythm sections, whoops, and tabletops that can be safely negotiated by beginners, but still challenges intermediates and pros. Enjoy an afternoon listening to the music and experiencing the amazing homemade concessions of Café MX, it’s a treat you’ll savor.